Four full-time art historians on the faculty comprehensively cover the ancient Greek and Roman worlds, the Renaissance and Baroque, 19th-century Europe and America, and modern and contemporary European and American art. 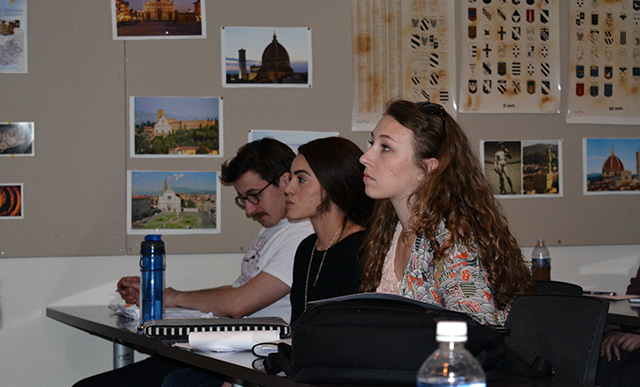 The small size of the art history program fosters a high degree of individual interaction with the faculty and a serious intellectual atmosphere. In addition to university funding, qualified students in the program may be supported by the Bronstein Scholarship for Study Abroad (priority is given to art history majors), which is around $8,000 annually, and the Allbritton Art Institute Student Scholarship, which is given annually to an upper-level art history student and is approximately $18,000. 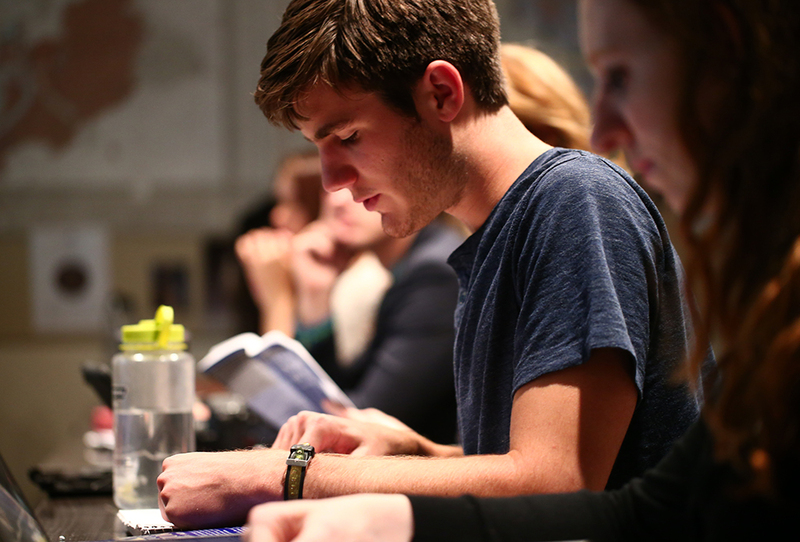 There are several opportunities for motivated students to engage with original works of art, to participate in study abroad and international travel, and to develop original research under faculty supervision. 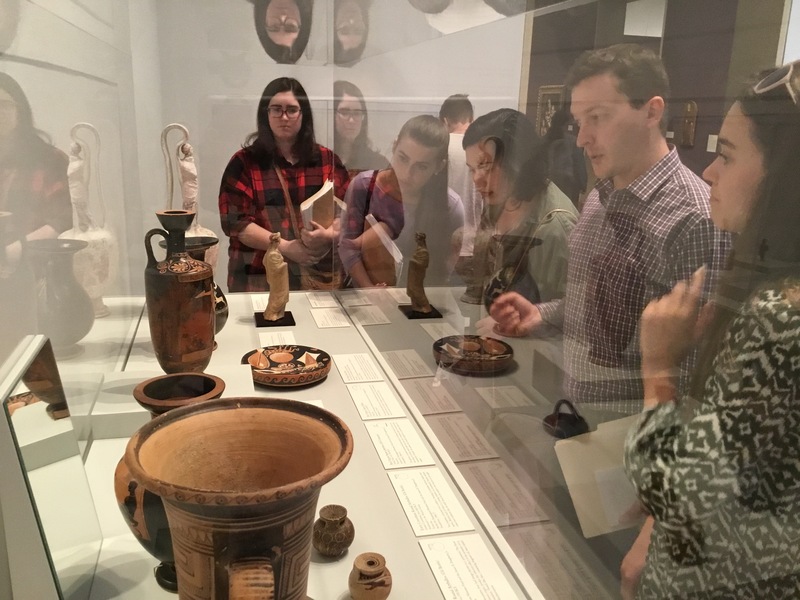 For select upper-level art history courses, the Allbritton Art Institute provides support and travel for faculty-led trips to domestic and European locations. Subsidized travel is unique to Baylor among undergraduate history programs in North America. Most recently, class field studies have returned from trips to New York in the fall of 2018 and London in the spring of 2018. 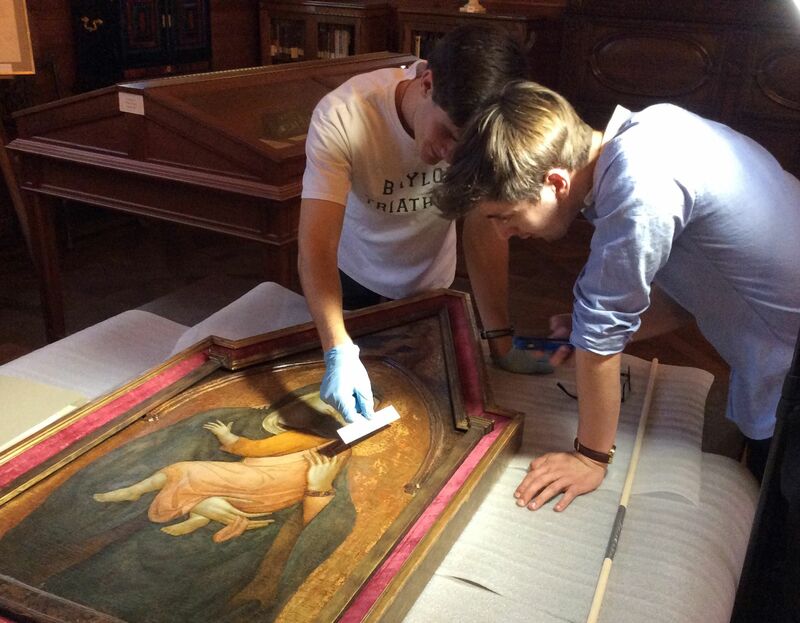 Each of the art historians works extensively with undergraduate research. 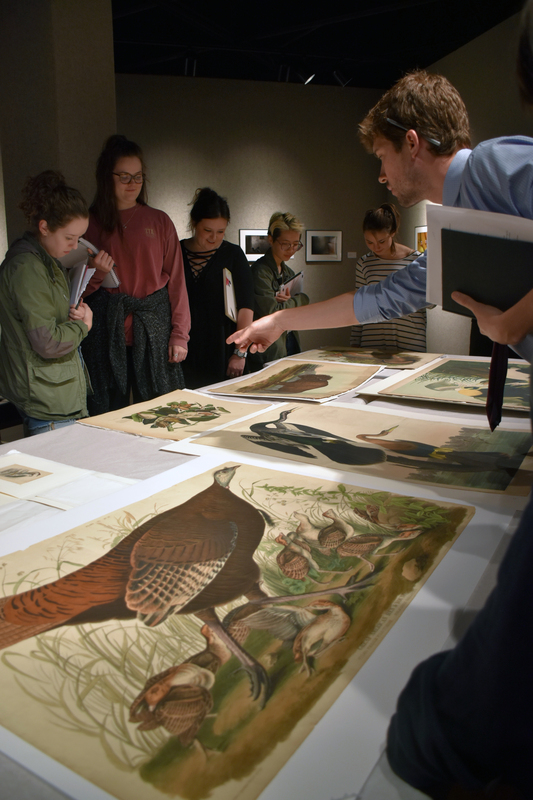 Dr. DeLouche's courses regularly make use of the strong 18th- and 19th-century holdings of the Martin Museum of Art for the subjects he teaches and regularly organizes trips to visit relevant exhibitions in the area. Dr. Elkins enhances ancient art courses through the use of a small teaching collection of ancient coins and through fieldtrips to area museums. 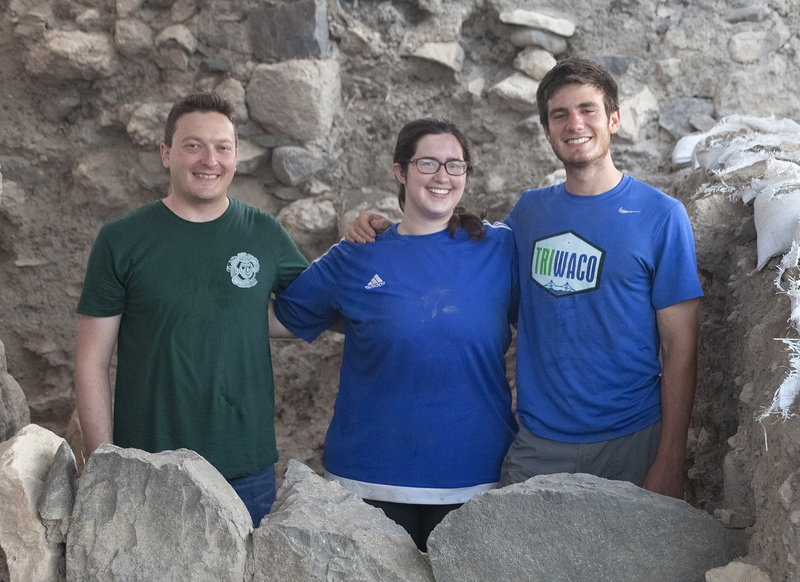 Many students also participate in archaeological fieldwork with him at the excavations of the late Roman synagogue at Huqoq, Israel or are employed as his research assistants. Students who have developed provocative research in his upper-level courses often present at Baylor Undergraduate Research and Scholarly Achievement (URSA) Scholars Week or at national conferences such as the Annual Meeting of the Archaeological Institute of America. Dr. Hornik provides opportunities for one-on-one interaction with original art objects and also directs original research in her upper-level courses. 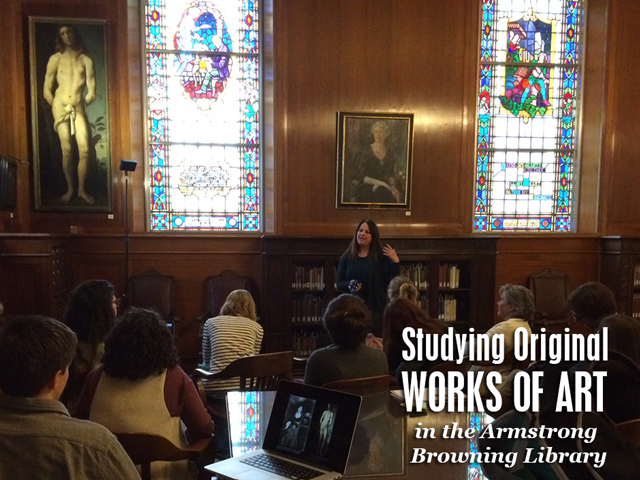 Recently she offered a seminar on Connoisseurship that used the Kress collection of paintings at Baylor's Armstrong Browning Library. Past students in her courses developed novel research topics that have been presented at URSA Scholars week and at national conferences such as the Midwest Art History Society (MAHS). Many have written honors and undergraduate theses under her direction. Baylor Art History students at the ruins of the Great Temple at Petra, Jordan. 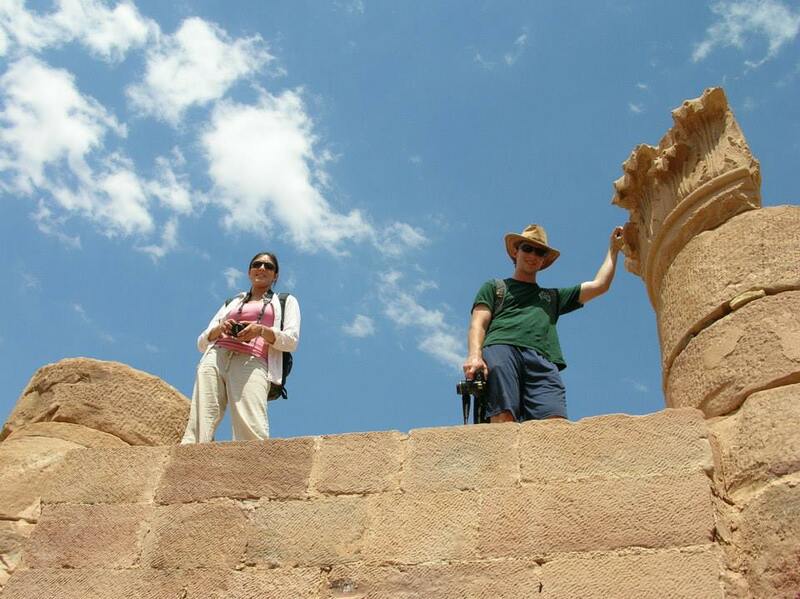 They accompanied Dr. Nathan Elkins on the Huqoq Excavations and additional travels in Israel and Jordan. 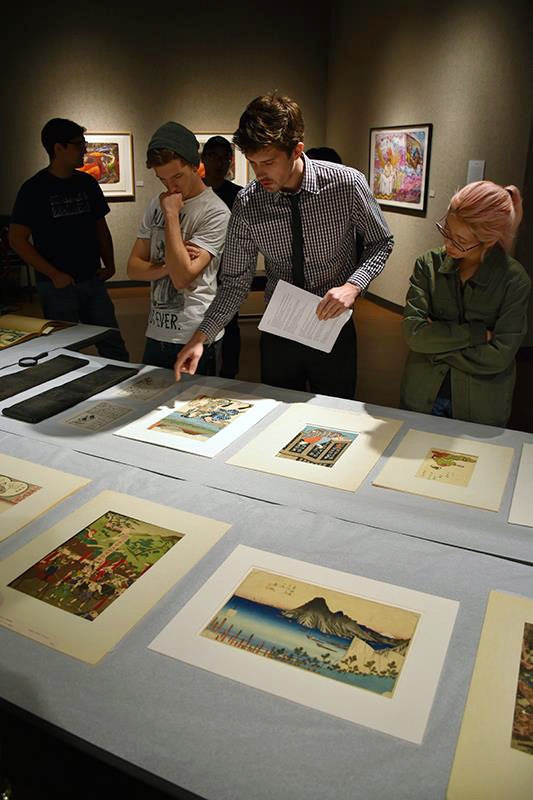 Dr. Sean DeLouche and students studying original Audobon artwork in the Martin Museum of Art. Dr. Heidi Hornik and Art History students in the 20 foot screen visualization lab. 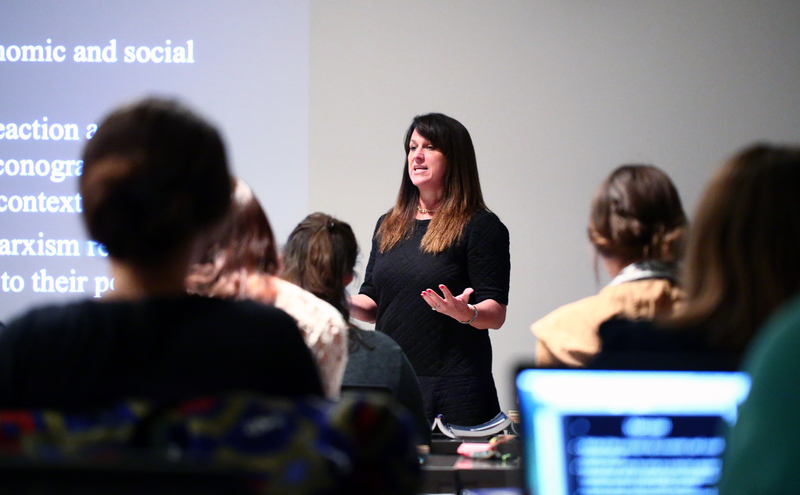 The fact that each of the art history faculty are both active scholars and strong teachers provides unique opportunities for Baylor's art history majors to develop significant experience and expertise both inside and outside of the classroom. 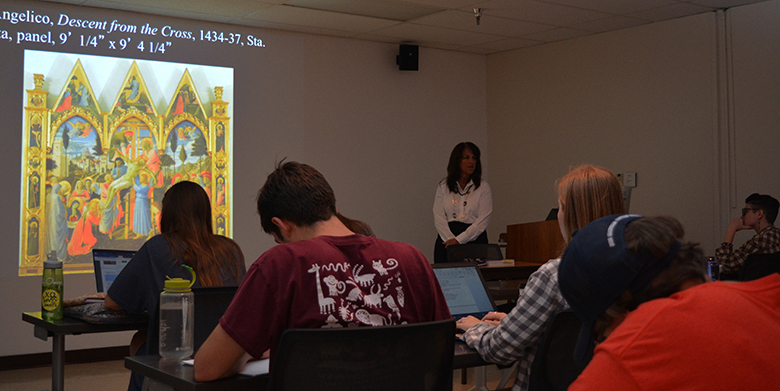 Our art history students are very competitive for top graduate programs in the country, or succeed in other fields. Our alumni have gone to graduate programs at Yale University, the University of Texas at Austin, the University of Missouri, the University of Kentucky, Rutgers University, Penn State University, George Washington University, Georgetown University, Kansas State University, Texas Christian University, and Southern Methodist University among many others. Other art history graduates, have gone on to work in museums and art galleries, or to business school, law school, and medical school, and into other graduate programs such as industrial design, civil engineering, and architecture. 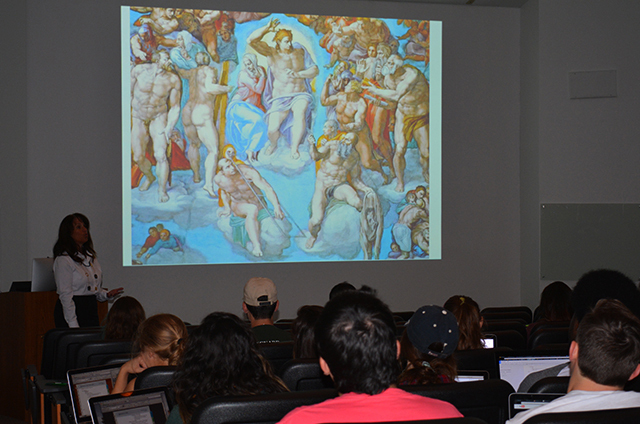 The area of Art History has two computerized art history classrooms, equipped to project video and digital media and to accommodate up to 36 and 150 students respectively. These classrooms are located within steps of faculty offices, the Visual Resource Center, and the Martin Museum of Art, and with most of the art studios just down the hall, offering optimal convenience and access for both faculty and students. 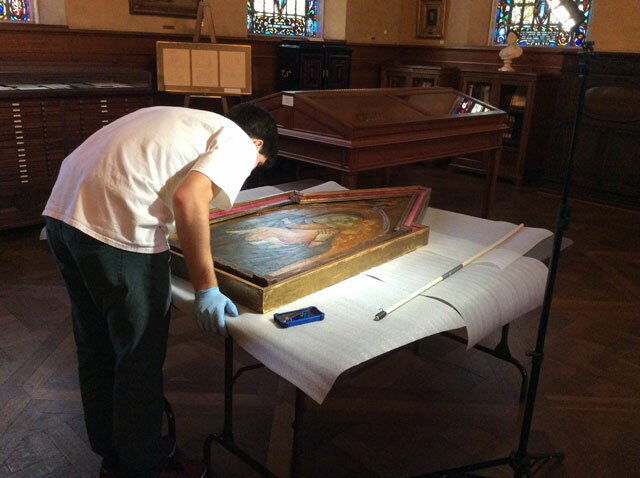 Dr. DeLouche is a specialist in nineteenth-century art history. 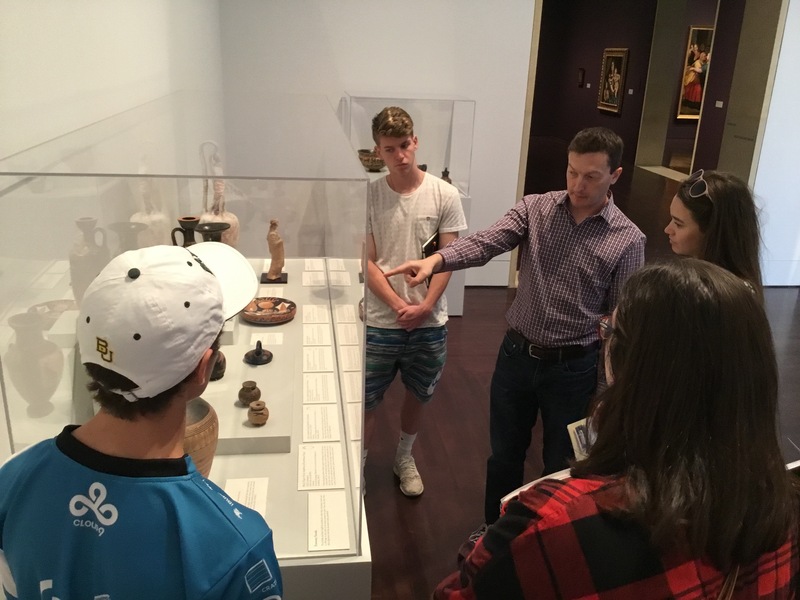 He regularly takes his students to see original works of art in person with organized trips to museums across campus, around the country, and abroad. Students in his classes have the opportunity to do in-depth research assignments on works they have seen firsthand. Dr. Elkins is well-known and published in the field of Roman art and imperial coin iconography. 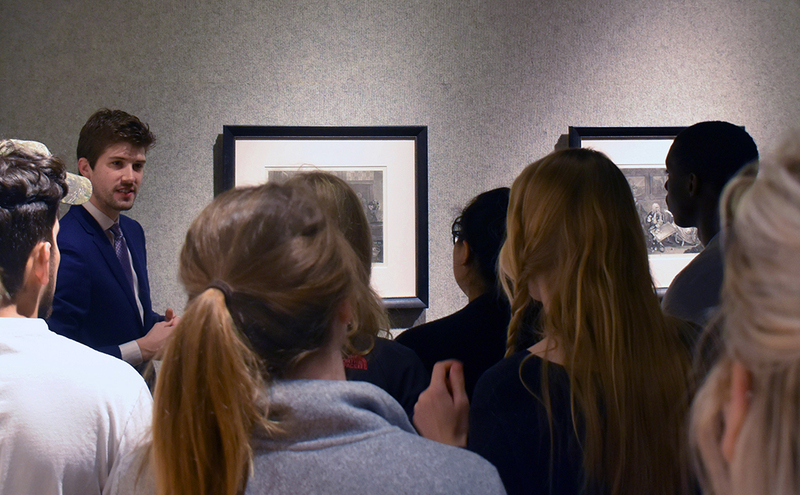 Students in his classes benefit from occasional fieldtrips to see original works of art. A recurrent theme in his courses is the necessity of interdisciplinary study in ancient art and the immeasurable importance of historical and archaeological context. He often includes students in his own research and has taken students to both Israel and Germany. 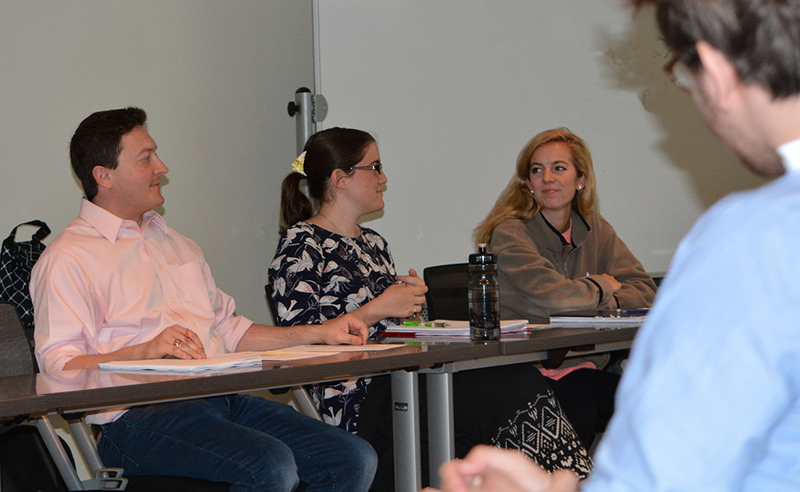 Students often present on research developed in his seminars, or on their participation in his research, at the Archaeological Institute of America Annual Meeting and at Baylor’s URSA Scholars Week.